Every month I do a home walk through to check every item on my monthly home maintenance schedule . This involves a walk around the external perimeter, inside the home, and crawling up into the attic. It is cheaper to pay for preventive maintenance than for major home repairs. When I do the external perimeter walk around the home, I visually check for any structural issues. I am no expert but just looking for the obvious is better than no effort. I visually check to see if there are any structural issues. Nobody knows your home and home structure better than you do. Checking your fence, sidings, exterior caulking, and external water outlets are simple and easy things to do. If you notice anything needs to be fixed, address them right way by yourself if you know what you are doing and hire professionals. 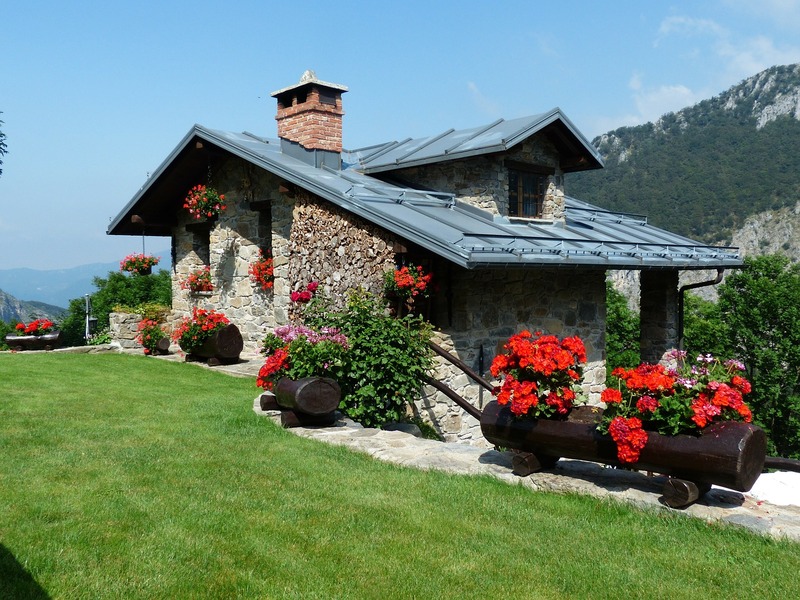 If you are a DIY person, then checking your gutter, chimney, and roof, two times a year, once in spring and once in fall is a good idea. Otherwise, have it checked or inspected by a professional at least once a year. Honestly, I just check for the easy stuff, and hire a professional for anything that involves getting on the roof. This would be my time to get rid of any wasp nests and clean off any debris. It is good to have a couple of pest repellents like wasp and hornet killer spray at home. Keep it away from the reach of children in a safe place. Secondly, a lot of birds try to build nests and mess up the patio. I know their typical nesting spots and keep the area clean and the human traffic keeps them away. Fire ants are a huge challenge, especially in Texas. You have got to apply a fire ant killer regularly or have sign up for pest control with Terminix or another company of your choice so that they can treat your yard and your home for pests as well. Houston is the home for St Augustine grass. Applying Scott’s weed and feed every ~8 to 12 weeks works for me. My plate is full with everything I have got going. I don’t cut, edge, or trim my glass. I use a service and my guy will apply the weed and feed for me periodically. Keeping the flower beds weed free and clean is done by our lawn care service dude. However, Sarah has been behind me to plant flowers in the front and vegetables in the backyard this spring. 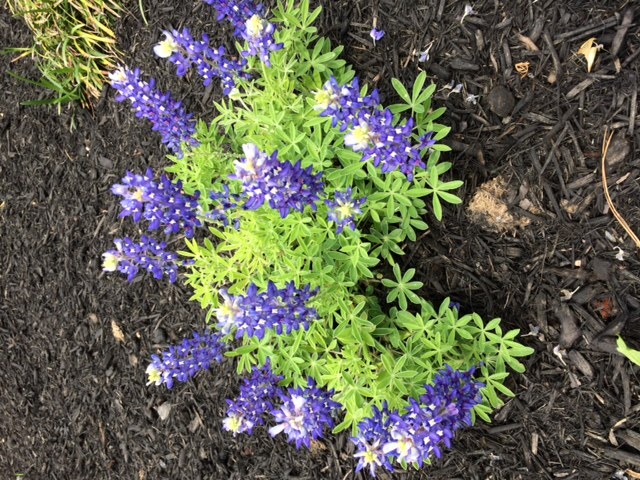 There were no flowers when I planted, but check out the beautiful blue bonnet in full blossom. I planted several of these and all of them are in full bloom. Sarah is a true capitalist. Once she sees results, she wants me to work more on the flower beds. While I don’t do this every month, I manually turn on the sprinkler system every couple of months during the day and check the heads in each zone. Often times, you might notice leaky rotor heads – basically a leaky rotor head, leaks water and you are wasting water. Also, your sprinkler system needs be tuned annually to ensure that it is spraying on grass and flower beds and not your walls and driveway. If you are good DIY with sprinklers, then that’s great. However, I am not savvy with the sprinkler system. So I pay for sprinkler inspection every other year. This year’s inspection revealed several leaky rotor heads and a leaky buried pipe. It is annoying to write a ~$400 check to fix these issues. I need to learn to fix minor sprinkler issues myself so that I am not writing checks. Now let us go inside the home and continue the list of things to check. Toilet tanks are notorious for leaking water – a leaky fill value or a leaky flapper – both will result in constant water leaks which means you will be paying a hefty water bill. Check and ensure you have no leaks so that you conserve water and save money on your water bill. It is good to have a couple of flappers and fill values at home as spares for replacement. I check and replace the 9V batteries on all the smoke alarms. If you don’t they will start beeping at about 3 AM in the morning to alert you on low battery. Whether you buy them in bulk online and save money. The worst place to buy batteries is at the checkout of any store. You will be ripped off. It is good idea to keep a stash of 9V batteries, AA batteries, AAA batteries (links to pretty good battery packs at a bargain from Amazon), and any other size batteries that you regularly use at home. You never know when you need them – the worst and most frustrating part is when you need to run to the store just to pick up batteries. If they need to be replaced, I just purchase my refrigerator water filter and Brita water filter replacement packs from Amazon. I used to visit Home Depot or Lowes to purchase AC filters on an as needed basis. Every once in a while, they just won’t have the size that my home needs. With frustration, I would go to another store to get the one I need. Finally, I just started buying the AC filters online for the whole year from Amazon and be done with it. Mine requires to be replaced every 6 months or 12 months. If you need to replace every 3 months, an easy thing to do is replace them on Jan 1, April 1, July 1, and Oct 1 – the first day of each quarter. That way it is easy for you to remember and you won’t forget. Vaccum your dryer vent and keep it clean. Always remove lint after every time you dry your clothes. This is for your safety. Now it is time to crawl up into the attic. I check the drain pans every month. If there is water in it, it is not a good sign. That is what I found out last month. You can see from my Feb 2017 update that my water heater needed to be replaced. Your HVAC system should have two drain lines – (a) a primary drain line that ends up at one of your toilet sinks on newer homes or outside the home and a (b) secondary drain, which is basically a pipe from your AC drain pan to the outside of your home. If you see water on your AC drain pan, that means your primary drain line is clogged. To prevent the drain lines from clogging, I pour a 1/4 cup of bleach into the primary drain line every quarter (Jan 1, April 1, July 1, and Oct 1). If your primary drain line is already clogged up, then pouring bleach won’t help. If you are not sure, and don’t know how to do it, have an HVAC technician come and unclog the primary drain line for you. Then, ask the HVAC tech where you should be pouring the bleach to keep the lines flushed and clean. I check for any signs of water leaks or if I smell any gas. If you smell gas in the attic, I would suggest that you call your gas company right away and have them check your home gas pipes in the attic immediately. Do you a monthly home maintenance checklist? What else do you check on a monthly basis? Have you considered Amazon Prime? You can save a lot of time and money by purchasing most of your home necessities at a reasonable price without frequenting brick and mortar stores? My wife and I have had a couple of leaky flappers recently. So we bought a couple of extra so we don’t have to wait to go to the store. Otherwise it’ll get expensive with all the water that’s leaking. Thanks for the reminder! I am out of flappers, will add them to the list of things to buy. Excellent list. I would add home fire extinguishers to the list and if you don’t have them, get them. It really does save money to keep an eye on this stuff so you can catch any trouble early. I had no idea that Texas was so crazy with fire ants. Those little buggers have a nasty bite! Thank you, Laurie! Yes fire extinguishers should have been part of this list. Yes, fire ants are a nuisance here and their bites are really nasty. We need to ensure the yard is safe for kids to play. I really need to get into some sort of monthly or quarterly regime where I check everything around the house. I try to stay on top of things but you never know what you’re missing if you don’t track it all. This is a list I came up with over the years owning a home. Every home has it’s strength and it weaknesses and as a homeowners we kind of learn as we go. I keep improvising my list as I learn.